A group of researchers at MIT have made a scientific breakthrough that could potentially solve water shortage issues in arid regions where populations are most drastically affected. Building on a concept proposed last year, MIT’s new contraption uses what are called metal-organic frameworks (MOFs) to extract drinking water from desert air – and it’s powered by solar energy. While we’ve previously been able to harvest water from the air, the performance of those devices depends on humidity, or the amount of moisture present in the atmosphere. 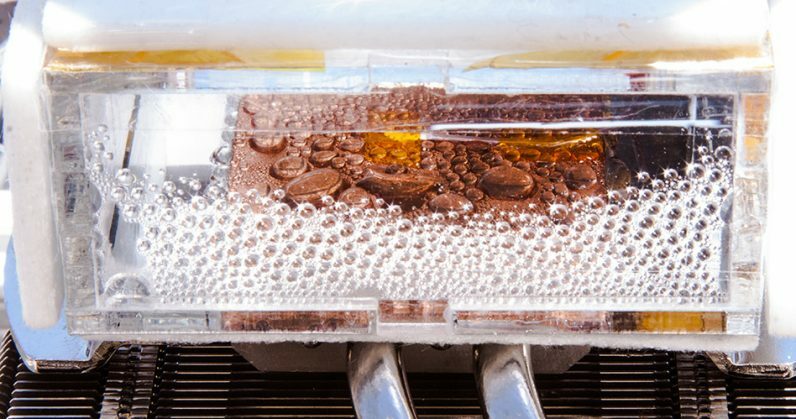 Unlike traditional systems that require upwards of 50 percent humidity, as well as cooling methods, pumps, and compressors that consume additional energy and need maintenance, MIT’s invention can draw water from air with 10 percent humidity and run passively off power from a solar panel. The team tested the revised concept on a rooftop at Arizona State University in the city of Tempe. It didn’t produce a whole lot because it’s a small proof-of-concept device at the moment, but the researchers claim that if scaled up, it could produce more than a quarter-liter of water per day per kilogram of MOF. We’ll need to get a bit technical to understand how this will work. MOFs are porous crystalline powders that form continuous 3D networks that can be configured to have specific gases bind to them, by combining various metals and organics. In the previously proposed concept, air was allowed to flow into a layer of MOF through the night; the following morning, heat from the sun would cause water to be released from the MOF as vapor, after which it was condensed and collected with no impurities. The research team is now tackling the challenge of increasing the efficiency of their device. If they’re successful, we could have a shot at harvesting the estimated 13 trillion liters of water that’s present in the atmosphere at any given time: that’s equivalent to about 10 percent of all the freshwater in lakes and rivers across the globe.